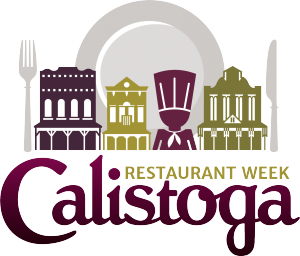 CALISTOGA, CA, UNITED STATES, December 27, 2018 /EINPresswire.com/ -- At the top of the Napa Valley, 11 businesses will celebrate Calistoga Restaurant Week January 20-27, announced Troy Campbell, executive director of the Calistoga Chamber of Commerce. Here’s how it works. Stop in to any of the participating restaurants during January 20-27 and request the Restaurant Week menu. Prix fixe menus include two-course lunches priced at $20, and three-course dinners priced at $36 and $46, dependent upon the restaurants visited. For more information and a list of participating restaurants, visit www.CalistogaRestaurantWeek.com1. Now in its ninth year, California Restaurant Month drives business for local restaurants and entices out-of-state travelers to visit California. For more information about California Restaurant Month, visit www.DineinCa.com2. About Visit Calistoga3:The city of Calistoga is a Napa Valley town known for its relaxed atmosphere among natural geothermal waters and mud treatments at spa resorts, adventures in hiking and biking trails, wide variety of world-class wineries and great dining. For information about lodging and dining options, local wineries, spas and events in Calistoga, go online to VisitCalistoga.com. You can also find Visit Calistoga on Facebook at www.facebook.com/VisitCalistoga, Twitter and Instagasm @VisitCalistoga.